Hello BYBMG readers! I always love being able to share over here. 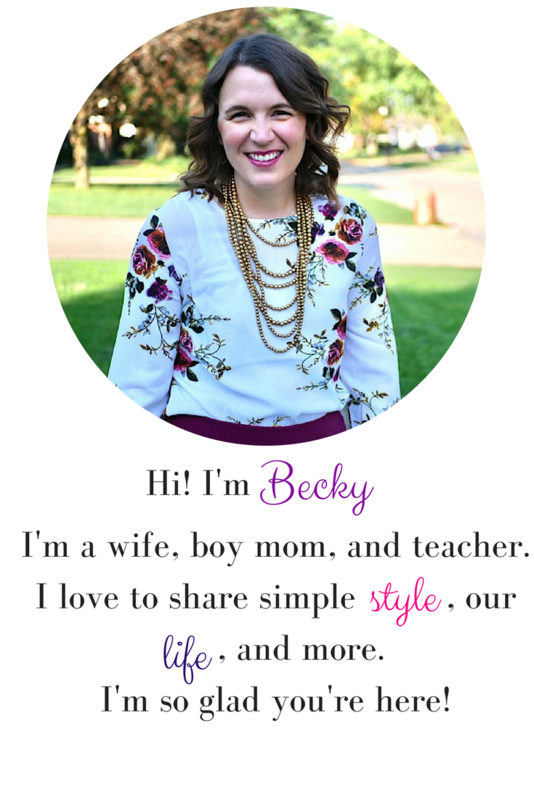 Becky was one of my first blogging friends and I love stopping by and sharing some of my heart. 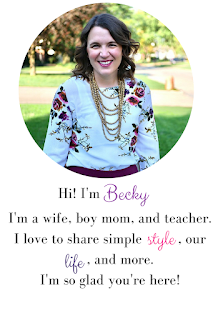 I feel like we have an instant connection in that we are both married to teachers- and Becky amazes me with how well she balances motherhood and teaching. She is incredible and an inspiration. A little about me... I share over at Living In This Season where I love to share all about life, the good and the bad, and a whole lot of random stuff. I would love for you to stop by and say hello! Anyways, today I am going to talk about summertime because it is quickly approaching! I love the sunshine and warmth of summer, but reality is that there will be rainy days of summer. I have found that it is helpful to be prepared for these rainy days. Rainy days could be an actual day where it is raining outside or it could be a day where you feel like it is raining in your soul. Perhaps you are tired from a long night with a little one, overwhelmed by all you have to do- whatever it may be- it is wise to be prepared. 1) Creating- I like to keep an assortment of paper, googly eyes, pipe cleaners, glue, etc in a nice little art caddy. This is perfect to pull out on a rainy day for my kids to create with. They love making little monsters or robots or whatever with the supplies. It is great to see their creativity and imagination flow with this activity! This is something you can easily prepare for a rainy day. Just put some art supplies in a plastic box or caddy and you will be prepared! 2) Movie/Tents- This is such a simple activity that I almost did not share it, but I believe sometimes we overlook what is right in front of us. Some days, I just need a break. I need a moment to drink my coffee without reheating it 100 times (okay a slight exaggeration). Having a special movie time is the perfect opportunity for this. Sometimes I will use some sheets and make a tent in the living room so they can watch the movie while in a tent. Other times they get pillows and snuggle up on the couch or floor. I make some popcorn or a special snack and they are content to enjoy their special movie time. Let go of the guilt that they are watching some television- trust me it will be okay. I could go on and on about ideas for rainy days... it is fun once you start listing out all the ideas because there are more than you would think. I encourage you to take out some paper and pen and make a list for rainy days. The next time it is raining outside or you are having a rough day, pick an activity from your list to provide some instant relief! * These tips were taken from my e-book Why Just Survive When You Can Thrive which is currently available HERE.